According to a report from the San Jose Mercury News, Apple will be preserving a historic barn that sits on the grounds of the new spaceship-shaped campus. 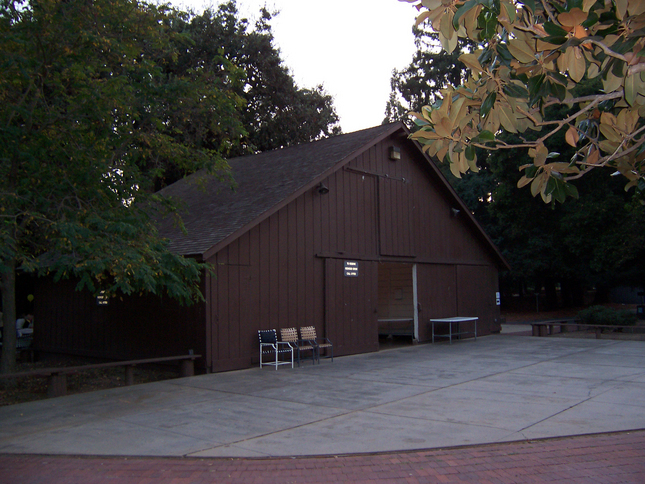 The Glendenning Barn is a historic Cupertino site left from a time when the city was still mostly farmland. During the teardown of the existing HP campus, Apple dismantled the redwood barn and made careful notes of its construction. The company pledged to relocate the building to another site. At first it was unclear whether Apple would keep the barn on campus, but it appears that it will remain on Apple’s property. The report notes that the barn will be used as an equipment storage facility and will be located adjacent to the employee fitness center. “To protect the structure during construction, Apple carefully dismembered the barn, numbering it piece by piece — every plank, nail and crossbeam — so it can be rebuilt just as it was, says Donna Austin, president of the Cupertino Historical Society. The company has even stockpiled redwood salvaged from an old grove in case any damaged planks need to be replaced. Apple’s second campus, which was designed in part by former CEO Steve Jobs, was meant to have a natural look and feel. The company is focusing a lot on the environment, which is evident in the new campus which includes 80 percent green space. The campus has a central garden and outdoor dining area with more than 300 types of trees. The spaceship-spaced campus will produce 70 percent of the energy required to power the site from solar and fuel cells. Construction on Apple’s second campus is well underway. Apple plans to complete the campus by the end of 2016.